When I was a young man I used to hear the old folks say, "I never thought I would see the day when . . ."
I'm not sure I know for sure what all these things are, but they are just some of the functions included in the new Nokia N-series of "multimedia mobile devices." They don't even call them cell phones anymore. See more about them in the news section below. I received the sad news that Eric Pakosta, the brother of Fred Pakosta of Advanced RF Communications in Quincy, Illinois died suddenly on Monday April 18, 2005. He was the owner and operator of IE Communications and Ezeeweb Internet Services in Trenton, Illinois. He will be greatly missed by his Family and Friends. 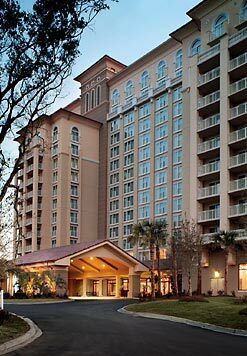 Please remember that discounted hotel rooms are available to those of us attending the AAPC Wireless Forum in Myrtle Beach, South Carolina IF you make your reservation before May 3. I made mine for two nights, checking in on June 1 and checking out on June 3. After May 3, the price goes up over $100 per night. This is a world-class hotel right on the beach and the AAPC Wireless Forum is the only US trade show/convention dedicated solely to Paging. I hope to see you there. Make your hotel reservations by MAY 3 to save over $100/night! Do not miss out on the discounted room rate of $129. 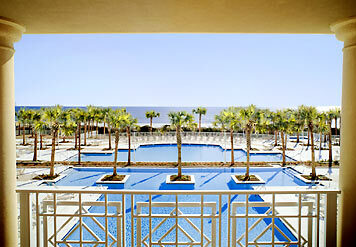 Reserve your hotel room before MAY 3, calling 843-449-8880 and making reference to AAPC. TOKYO, JAPAN, April 25, 2005—NTT DoCoMo, Inc. and its eight regional subsidiaries announced today that they will terminate their QUICKCAST® pager service on March 31, 2007. The service started in July 1968. After reaching about 6.49 million subscribers in 1996, the number of subscribers to the service decreased to about 290,000 as of March 24, 2005, prompting DoCoMo to conclude that termination of the service would help to raise operational efficiency. NTT DoCoMo is the world's leading mobile communications company, serving more than 50 million customers. The company offers a wide variety of leading-edge mobile multimedia services, including i-mode®, which provides e-mail and Internet access to over 44 million subscribers as the world's most popular mobile Internet service, and FOMA®, launched in 2001 as the world's first 3G mobile service based on W-CDMA. In addition to wholly owned subsidiaries in Europe and North America, the company is expanding its global reach through strategic alliances with mobile and multimedia service providers in Asia-Pacific and Europe. NTT DoCoMo is listed on the Tokyo (9437), London (NDCM), and New York (DCM) stock exchanges. For more information, visit www.nttdocomo.com. i-mode and FOMA are trademarks or registered trademarks of NTT DoCoMo, Inc. in Japan and other countries. NTT DoCoMo's FOMA service is only available to subscribers in Japan. QUICKCAST is a registered trademark of NTT DoCoMo, Inc. in Japan. TORONTO, April 26 /CNW/—Rogers Communications Inc. today announced its consolidated financial and operating results for the first quarter ended March 31, 2005. One-way messaging (paging) subscriber churn for the quarter increased to 2.64%, while one-way messaging ARPU decreased by 2.2%. With 186,200 paging subscribers, Wireless continues to view paging as a profitable but mature business segment, and recognizes that churn will likely continue at relatively high rates as one-way messaging subscribers increasingly migrate to two-way messaging and converged voice and data services. Source: Rogers News Release The complete first quarter 2005 report is available here. Nokia on Wednesday announced a trio of new phones, including one that can store up to 3,000 songs. The N91 has an integrated 4GB hard disk and supports digital music formats including MP3, M4A, AAC and WMA, Nokia said. Additionally, the handset comes with a stereo headset with remote control. The N91, expected to ship by the end of the year, will also feature a 2-megapixel camera, e-mail support, a Web-browser and video-sharing capabilities, the device maker said. The phone supports WCDMA, wireless local area networking and Bluetooth, and subscribers can shop at online music stores directly from the device, the company said. Users can synchronize the device with their computers via USB 2.0 and create and manage playlists that, in turn, can be shared with others via Bluetooth, e-mail or multimedia messaging. Another new WCDMA handset from Nokia is the N70, a smart phone featuring a 2-megapixel camera, a flash and "front camera" for video calling, stereo FM radio, a digital music player, visual radio and 3D games. 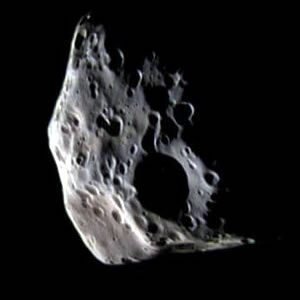 The camera has a "slide and shoot" design, in which the slide automatically activates the camera. The handset's camera has an integrated flash, 20x zoom capability and other options. Video and photo from the camera can be transferred on to a PC; organized in a slideshow or album on the camera; or printed using a USB cable, Bluetooth or reduced-size dual voltage multimedia card. The device is expected to be available in the third quarter. Lastly, the Finnish phone maker announced the N90, which features a 2-megapixel camera with autofocus and 20x digital zoom, an integrated flash, video capture with editing functions and Carl Zeiss optics, Nokia said. Carl Zeiss optics, named for the pioneering German optician, are used for projection and illumination. The handset's rotating camera barrel is designed to let users shoot video, as well as pictures. 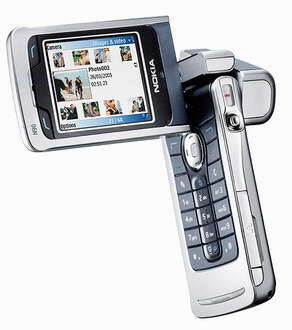 When the main display is unfolded and twisted, the N90 can be used to shoot video in MP4 format. The N90 also features different options for storing, sharing and printing photos and video clips, and it supports 3G functions such as two-way video calling, video streaming and Net surfing. It is a triband phone for GSM 900/1800/1900, EDGE and WCDMA networks. April 27 (Bloomberg)—Verizon Communications Inc., the largest U.S. telephone company, said first-quarter profit rose 47 percent as the company's wireless unit added a record number of clients and exceeded analysts' expectations. Net income increased to $1.76 billion, or 63 cents a share, from $1.2 billion, or 43 cents, a year earlier, when pension costs hurt profit, New York-based Verizon said in a statement today. That beat the 60-cent average estimate of 29 analysts in a Thomson Financial survey. Sales rose 6.6 percent to $18.2 billion. Chief Executive Officer Ivan Seidenberg is seeking to tap a wider market to fuel sales and reduce the company's reliance on wireless, which has been the fastest-growing unit for more than four years and accounted for 41 percent of revenue in the quarter. He pushed a $7.62 billion bid to buy MCI Inc. to add to corporate clients and more than double Verizon's enterprise market share. "There is strategic merit in the acquisition," William Power, a Robert W. Baird analyst in Houston, said before the report. He rates the shares ``neutral'' and doesn't own them. "It better positions them to compete in the broader telecom market." Analysts on average expected revenue of $18.1 billion. Verizon's profit had exceeded analysts' estimates by an average of 2 cents a share for the past eight quarters before today. Verizon shares fell 6 cents to $34 yesterday in New York Stock Exchange composite trading. They have declined 16 percent this year. Nineteen analysts recommend investors buy Verizon shares, 13 suggest holding them and one says to sell. Seidenberg, 58, is investing in growing areas including wireless, fast Internet access, long-distance and corporate phone service. About 55 percent of total revenue comes from these areas, up from 49 percent at the end of the 2003, Chief Financial Officer Doreen Toben said in January. Bedminster, New Jersey-based Verizon Wireless, the No. 2 mobile-phone company, added 1.64 million wireless subscribers, surpassing predictions for 1.32 million, the average of seven estimates in a Bloomberg survey. Subscriber additions outpaced larger carrier Cingular Wireless LLC. Churn, the rate at which customers switched providers, improved to 1.3 percent from 1.4 percent in the fourth quarter. "They've really executed well across the board with one of the lowest churn rates in the industry," Power said. Verizon's average monthly wireless bills fell to $49.03 from $50.32 in the fourth quarter, still up from $48 a year earlier. Total wireless revenue rose to $7.42 billion. That missed the $7.45 billion average estimate of four analysts in Bloomberg's survey. Verizon jointly owns the wireless unit with U.K.-based Vodafone Group Plc. Cingular had churn of 2.2 percent and added 1.42 million subscribers in the first quarter. Sprint Corp., the third-largest wireless carrier, had churn of 2.9 percent, and added 800,000 wireless subscribers. Subscribers of Verizon's fast Internet service, known as digital subscriber lines, or DSL, surged by 385,000 to 3.9 million customers. SBC said yesterday it added a record 504,000 DSL users for a total of 5.6 million, more than any phone company. Five analysts in Bloomberg's survey expected Verizon to add 327,000. Verizon continues to lose local-phone lines at a faster pace than smaller competitors SBC Communications Inc. and BellSouth Corp., the No. 2 and 3 U.S. local phone carriers. Local lines declined by 796,000 as customers switched to wireless phones or Internet-based telephone service. That's up from 699,000 lost in the fourth quarter and more than the 715,000 three analysts surveyed by Bloomberg expected. Business lines dropped 68,000 to 16.4 million last quarter, said Banc of America Securities analyst David Barden. Sales at the local-phone business fell 4.3 percent to $4.48 billion. Verizon sells local-phone service in 29 states and the District of Columbia. Seidenberg's Verizon and Qwest Communications International Inc. are fighting for MCI and its 98,000-mile network for delivering voice and high-speed Internet access in 140 countries. Verizon is weighing whether to raise its bid a second time after MCI, the second-largest U.S. long-distance phone company, declared Qwest's rival bid superior. Denver-based Qwest on April 21 raised its bid to $30 a share from $27.50 in an effort to wrest MCI from an agreement with Verizon, whose latest offer is $23.10 a share in stock and cash. Buying MCI would boost Verizon's share of the market for business customers to about 29 percent from 14 percent, according to Yankee Group analyst Sean Hackett. Verizon plans to connect 3 million homes with a fiber-optic network by the end of the year to offer faster Internet speeds and television programming, and will spend as much as $30 billion over 15 years, according to Merrill Lynch & Co. Verizon Wireless is spending $1 billion through the end of the year to extend its network to support data services including video and fast Internet access, and will pay another $4 billion to upgrade existing towers and buy airwaves. Only the named driver can log in to the truck. When ponies delivered mail, fleet management meant keeping everyone in line at the hitching post. Today, the ponies are gone, and the US Postal Service (USPS) uses wireless technology to manage industrial vehicles that sort the mail. New security applications can now monitor and lock down vehicles. In January, the USPS contracted with ID Systems and Unisys to develop an enterprise-wide wireless asset tracking system dubbed Pivms, or Powered Industrial Vehicle Management System. The tracking technology will help the USPS manage industrial vehicles such as forklifts and secure 460 postal facilities nationwide. The tracking technology is similar to systems used by other companies that manage large fleets of equipment, such as DaimlerChrysler, Ford, Target and the US Navy—but with the addition of authentication. Here's how it works. 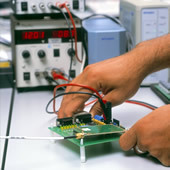 Vehicles are wired with movement and impact sensors that are connected to a wireless transceiver inside the vehicle's cab. A keypad log-in on the hardware links to the vehicle's ignition system, and to a management server at each facility. To start a vehicle, an employee enters his or her identification number on the keypad. That information is then checked against an onboard database of authorised drivers. An unauthorised driver cannot start the vehicle. So in addition to tracking a vehicle's location, the technology can control vehicle access. The wireless asset tracking system allows fleet managers to control equipment and vehicles used by the USPS. For example, vehicle collisions were notoriously difficult to detect and track in busy mail processing centres. With Pivms, onboard sensors will detect the impact of a collision, log it and identify the employee who was driving the vehicle at the time. Sprint (NYSE: FON) today introduced a pair of location-based services that will enable its customers to access driving directions and roadside assistance through a simple wireless voice call. The new services are available upon request to most Sprint customers subscribing to Roadside Rescue, which provides assistance for motorists, or to customers who use their Sprint PCS Phone to dial 411 to reach Sprint PCS Directory Assistance. "Our customers view their mobile device as a critical link to the world around them, and Sprint is strengthening this link by providing services that can leverage location information," said Joe Averkamp, director - Business Development, Sprint. "Wireless services allow customers to be mobile, and these location-based services can identify their locale in order to get the directions, help or services they need while mobile. Ultimately, we envision a host of new location-based applications which will complement our existing voice and data services and dramatically simplify and enhance the way people connect through wireless technology." With the new location enhancement of these two services, customers looking for help or information when the unexpected happens won't be out of luck if they don't remember the last mile marker or street sign they passed. Instead, they can ask Roadside Rescue dispatchers to identify their locations to send help, or ask directory assistance operators to pinpoint their position for turn-by-turn directions from wherever they are to wherever they want to go. The level of precision in locating the customer will depend on a number of factors, including the Sprint PCS Phone being used by the customer and the customer's phone preference settings. Customers should continue to dial 911 in any emergency situation. Location-based enhancement will be offered on an opt-in basis for no additional charge for the two current voice applications, Sprint PCS Directory Assistance (411) and Roadside Rescue. Pricing will remain $1.25 per directory assistance call (plus airtime) and $4.00 per month for Roadside Rescue subscription. Billing methods and prices may change in the future. Sprint's directory assistance services are provided through an agreement with INFONXX, the world's largest independent provider of directory assistance and enhanced information services. INFONXX, based in Bethlehem, Penn., provides local and national directory assistance and customer-focused solutions to Sprint. In the future, Sprint anticipates additional opt-in location-based voice services and location-based data services as well. Possible applications include mapping services to provide detailed maps, traffic information and points of interest such as nearby ATMs, gas stations and restaurants; and weather applications to supply current information and forecasts even when users are uncertain of area ZIP codes. Sprint is also exploring location-enabled applications for business needs, such as workforce management and field force automation. INFONXX is the world's largest independent provider of directory assistance and enhanced information services. INFONXX delivers premier customer-focused solutions through technological innovation, flexible service transport options and industry-leading product offerings to wireless and landline carriers, corporations and educational institutions in North America. INFONXX has consistently ranked among the best of the industry in all aspects of customer service. In the United Kingdom, the Number 118 118 has become Britain's leading directory assistance service for consumers and businesses. Based in Bethlehem, Penn., USA, INFONXX employs thousands of customer service representatives and support personnel who manage over 210 million listings at 10 locations around the globe. For more information, visit www.infonxx.com. ReFLEX The S-900 is a must for today's business professional. Reliable, sleek, and extremely durable, the S-900 comes equipped with one of the best RX/TX available today. The ST-900 has a straightforward User Interface which makes this device a perfect choice. Exposition and Convention, Las Vegas, NV. Icom Incorporated (Parent company of Icom America) and Kenwood Corporation, market leaders in Land Mobile and Amateur radio communications worldwide announced on February 25, 2005, a joint business and technology alliance to develop state-of-the-art digital communications technology for the Business & Industry sector. Both companies will be making a simultaneous announcement and showing working prototype samples at IWCE. You are invited to visit the Icom America booth (#5001) to get a first hand look at this groundbreaking technological advance. These engineering samples are the result of this technical collaboration, and will demonstrate a very narrowband 6.25kHz digital communications technology using an FDMA 4-level FSK modulation method. This technology meets the requirements of the FCC Emission Mask E, for spectral efficiency. Both companies are also directly involved in the formation of efficient digital radio technologies in Europe (ETSI Digital PMR 446/DMR) and Japan. Both companies have committed to jointly continue research and development for the benefit of Business & Industry users, as well as offer a solution for existing system operators to migrate to an efficient digital solution. Chris Lougee, Vice President of Icom America’s Land Mobile Division, had the following comments regarding this exciting news. “The demonstration samples Icom will display are the ‘first steps’ to present a migration solution to digital technology for the ‘Business and Industrial’ two-way radio user. Consumers have come to expect robust voice-and-data capabilities in their wireless communications devices. Digital radios will offer similar capabilities, enabling Icom dealers the possibility to provide radio communications solutions never before imagined. With this technology, Icom digital radios could effectively ‘double’ or even ‘quadruple’ spectrum capacity with their 6.25kHz capability, although this depends a lot on final spectrum licensing and rate of migration in the future. A huge impediment to radio solutions growth in the past has been the lack of available spectrum. One of the solutions to this problem could be solved with 6.25kHz capable Icom digital radios. AMBE+2 and IMBE are the trademarks and property of Digital Voice Systems Inc. In the 6.25kHz digital mode, it is possible to have a 4,800 bps data application in addition to voice communication without the need for adding a modem. It is possible to send data like messages at the same time while utilizing voice communication, and the sending of GPS position data information is also possible during voice communication. Transmit and receive of existing status, messages can be offered as standard features. Also, as voice is digitized, construction of a remote site from a repeater via the Internet can be done, and it is possible to conduct dispatching. With 6.25kHz digital mode operation capability in an existing 12.5/25kHz analog FM radio, it is possible to provide multi-mode portable and mobile radios and repeaters, making migration* from an existing analog system to a digital system easy. 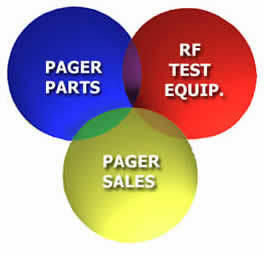 *Multi-mode repeater/terminals would need to be purchased for a system, but initial system capability could be analog only. Option to add digital capability in the future, i.e. ‘migrate’ to digital, would be available via an easy software upgrade of repeater/terminals for example. Icom America’s parent company, Icom Inc., was founded in Osaka, Japan. Icom is a publicly held Japanese corporation; its stock is traded on the Osaka and Tokyo Stock Exchange. Icom began as an engineering and manufacturing company, making advanced, compact solid-state radio equipment for use by amateur radio enthusiasts. Icom has since grown to become an industry leader with a product line that includes state-of-the-art communications equipment for land mobile and marine use as well as avionics. Icom America's headquarters are in Bellevue, Washington. The first time I heard about VoIP (Voice over Internet Protocol) was in 1996. At that time, I was working for a telecommunications manufacturer who said the ability to make calls using the Internet was the next wave. Now, almost 10 years later, VoIP is finally here and is on the tip of everyone’s tongue. Frost & Sullivan research predicts that VoIP will account for approximately 75% of world voice services by 2007. But, what does this mean to you, as reseller, and your customers? The initial market positioning for VoIP telephone systems emphasized cost savings—reduced long distance expenses via toll bypass, and reduced cost for wiring and cabling. Ironically, VoIP’s most important enhanced features are the least ones advertised: Greater flexibility in system architecture configurations. Employees with VoIP telephones can work from their homes and it appears to the caller as if they are in the office. Sites can be connected via the Internet creating virtual telecommunication systems across multiple offices. Business calls can be made anywhere in the world and no one needs to know from where you are calling. For example, an employee can make calls via a soft VoIP phone on their PC. 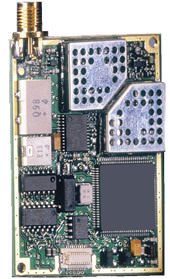 The PC transmits via a wireless network interface card to a cellular network. The call is then routed to the main office over a VoIP gateway. At the main office, the call is redirected out to a client. The time is right for VoIP. The technology is stable, the applications have real benefits and, most importantly, customers are asking for VoIP. This is an exciting time for telecommunications. According to In-Stat, more than 30% of firms, even those with less than 100 employees, are interested in and planning to adopt VoIP telephony solutions by 2005. However, most people have forgotten something in this VoIP craze; many small businesses do not have the network infrastructure to support a VoIP telephone system. With the advent of VoIP, the telephone system is no longer a strange piece of equipment where you have to punch a series of numbers at the “programming station” in order to get the telephone system to behave as desired. The telephone system now “hangs off” of an existing data network, just like a printer or server. Many times, the VoIP telephone system incorporates an intuitive web-based system administration interface. Thus, management of the telephone system can be done from anywhere in the world and by savvy networking engineers. VoIP systems allow data networking vendors to move into a telecommunications field. The smart data networking vendors have already started looking at solutions to add to their product line. However, why hasn't the market seen a greater movement of data networking providers offering telecommunications solutions? The biggest hurdle for data networking companies to overcome is finding VoIP products that offer more than just telecommunications functionality. Most VoIP products offer just telephony functionality like voicemail, automated attendant, and unified messaging. They do not incorporate the networking aspects needed to make the VoIP product a truly converged solution. There is hope. A few manufacturers have seen the light and have begun producing devices that are friendly to the data networking vendors while providing a complete VoIP telecommunications solution. In other words, the product combines the typical telephone system capabilities with firewalls, DHCP and DNS servers, web hosting, e-mail hosting and group collaboration tools (think Microsoft Outlook’s Calendar capability) all in a single device. For a reseller, there are several advantages to providing a truly converged solution to a customer. First, the customer calls one company for all of their needs. No other company can come in and second-guess the way that a network was constructed, especially if the customer wants to upgrade to VoIP. Second guessing a network’s design is one of the most effective ways of winning a customer away from their current data networking vendor. But if you offer both voice & data infrastructure support, you’ll maintain your current customers and even find new ones. Second, it is more difficult for a customer to switch vendors. It will be harder for a customer to pull their business if they have their telephone system and data network with the same vendor. So, you can see why Comcast wants to be the cable, telephone and Internet service provider for businesses. It is harder for the customer to move three key services to an alternate provider than one. Finally, the customer can build a lasting relationship with the vendor. This makes it harder for the competition to win your business. If you are in a customer’s business on a regular basis performing data networking or telecommunications services, the customer sees you more often and looks to you for advice on the next phase of the infrastructure for their business. Seamless integration with Internet providers that can carry voice calls (e.g. Internet Telephony Service Providers). Ability to link systems together for site-to-site connectivity. Easy setup and installation for remote phone users. Built in networking capabilities, such as DHCP, DNS, email, file and VoIP gateways. Web based interface for setup, installation, monitoring and maintenance. A keynote: If a manufacturer can’t demonstrate these features to you, on site, and within one session, they probably won’t “cut the mustard” in the real world. So, be on the lookout for multi-function devices to add to your arsenal of products. TORONTO—A desire for wireless access will help drive the market for voice over Internet Protocol (VoIP) services, according to speakers at the Voice on the Net (VON) Canada conference. Zennstrom, who spoke Tuesday to about 150 people at the Metro Toronto Convention Centre, said mobile workers are starting to get away from notebook PCs and using lighter devices, such as personal digital assistants and smart phones. Skype is working on VoIP clients that will operate on platforms like Symbian, Windows Mobile and Embedded Linux, he said, adding dual-mode wireless handsets that work on both Wi-Fi networks—originally designed as local-area data networks using the Institute of Electrical and Electronics Engineers’ 802.11 protocol—and cellular networks. About 155,000 users download the Skype software each day, and about 35 million people use the software now, Zennstrom said. The software has become so popular it could become a de facto standard as a VoIP software client, said Tom Evslin, an independent consultant and former chairman of VoIP wholesale provider ITXC. He said Skype could become similar to Windows, in that other software developers will feel they have to make their software compatible with it. Evslin added voice over Wi-Fi will help drive down the cost of mobile telephony. But Wi-Fi was originally designed for data networks, and a public hotspot operator using the IEEE 802.11b standard – which provides maximum throughput of 11 Mbps – should not expect more than 12 customers to be able to make VoIP calls simultaneously, said Ben Guderian, director of marketing strategies and industry relations for wireless equipment maker SpectraLink Corp. Most Wi-Fi hotspot applications include quality of service tools that give voice calls higher priority over data traffic to prevent problems such as latency and jitter. This means if 12 people are making voice calls, data traffic could be locked out. “If you’re sitting in a hot spot and people are talking on their phones … people on their laptops are going to start to get upset,” Guderian said. Guderian said users will want dual-mode handsets that can operate on cellular networks outside of buildings and on Wi-Fi networks inside buildings, but there are some barriers to implementation. For one, the handsets are more expensive, and to work on both cellular and Wi-Fi networks, the devices have to be capable of handing off calls from one network to the other. “The biggest issues with this is where the carriers fall because they hold all the cards,” he said. But the ability to roam seamlessly between networks without dropping the call may not be a big issue for most business users, Guderian said. Bill [Campbell] and I sat down with Jeff Pulver at VON Canada and began to get a real sense of his deeper passion for the IP community. We discussed developers and more. This post focuses on what’s wrapped up in our “freedom to connect”. I was pleased I dropped my iPod/iTalk on the table. Jeff spoke at New York speed and my scrawl was no match. Since then I’ve also had a little time to reflect. Jeff’s Von Canada talk was titled “Shift Happens” and he wasn't only talking to the audience. He himself has made a shift. He told me that the one thing people should understand from Skype is that they took off-the-shelf components and assembled them and made it work better. While the industry may be very defensive (think SIP etc) about that, the reality and the result is that end to end IP is really happening. He pointed out that based on the inflection points and Skype’s current trajectory it is not a question of when. It is now. So wakey wakey!!! End to end IP is happening thanks to Skype.. and empowering people that wouldn't otherwise talk to each other. Disintermediation of the PBX businesses as CEO’s realize they are only selling software. Skype has the potential to be the operating system like Microsoft; however, they are susceptible to Microsoft. On the consumer side Skype is like an iPod. On the industry side they need to watch their back for they will create rage at AOL and Yahoo. Skype must create a rich developer community, and enable new strategies to accelerate innovative products that were impossible over old networks. The mindset is won with users, and the user experience. Skype must very carefully balance advancement with “trust” and doing good for Skypers. The need to keep regulation and the old industry off the emerging VON solution set. Secure our freedom to connect. We had a short segment on Net Freedoms which made the most impact on me. We take our freedoms to be self-evident until they are taken away. The battle above means a very different landscape for mobile providers, and traditional telecoms. The best of the smart service providers will become dumb access pipe providers when it is all over. “We” all need connectivity and our freedom to connect. Former Chairman Powell and the new FCC Chairman must work to ensure those net freedoms become adopted and subscribed to by the service providers of the world. Jeff shared his activities in Washington over the last few months trying to explain what his fears are. He says they are taken too much for granted. We need to guarantee the freedom to run our own applications. There really is a greater need for a call to action. This one needs to be on more than just the blogger radar. He’s running a VoIP Policy Summit 2005 in Washington on May 4th and planning a rally on the steps of the capital at the end of June. Getting the people out for the rally means the message must become one about our basic freedoms. This is not just about technology. My wish is... that if you Skype then you will want to support Net Freedoms. As the largest VoIP community in the world this is not just about technology. It is the freedom to connect to whomever you want. It’s the freedom to converse, the freedom and rights to privacy, to exchange data, to control your own information. So free conversations and a great app like Skype is nice. However net freedoms is bigger than that. Skype is a vehicle and it is easy to associate consumer stories with it. It already makes the net freedom story easier to tell. Jeff commented that he thought that Niklas may take this too much for granted and could be a blind spot. I’m pretty sure he’d like Niklas on the steps of Congress telling his story and sharing his vision. Niklas* recently presented this paper (CEPT Conference Presentation). He’s not unaware, he’s just powerless relative to “users”. “We” Skype users are the ones to make the case, and be the ones to march on Washington. Skype is a great app as long as it has “consumer trust” and promotes user freedoms. My conclusion: Net Freedom is a badge that all Skypers should wear as long as Skype preserves our trust. Something we will be blogging a lot more about here. * Niklas Zennström CEO and co-founder of Skype. His keynote presentation from Voice on the Net Canada 2005 is available for download. "This is really a technology acquisition," said Victor Tsao, senior vice president and co-founder of Cisco's Linksys division. "They are very good at creating products at an affordable cost." 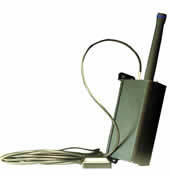 Sipura adapters, which cost about $59 each, allow users with a broadband Internet connection to make calls over the Internet using traditional analog phones. Cisco Systems (Nasdaq: CSCO) Latest News about Cisco Systems agreed to pay US$68 million in cash and options for Sipura Technology, a San Jose, Calif., start-up that specializes in telephone adapters and other technology for consumers to make calls over the Internet. The acquisition is the first by Cisco's Linksys division, which sells networking gear used to create wireless Internet networks in homes and small businesses Latest News about small business. "This is really a technology acquisition," said Victor Tsao, senior vice president and co-founder of Cisco's Linksys division. "They are very good at creating products at an affordable cost." Sipura adapters, which cost about US$59 each, allow users with a broadband Latest News about Broadband Internet connection to make calls over the Internet using traditional analog phones. 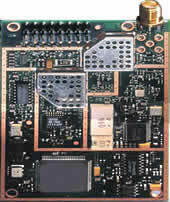 Linksys had already been using Sipura's technology in some of its products. "I think this is just an indication of how important voice over IP is for the consumer market," Gartner Latest News about Gartner analyst David Willis said. Linksys is one of Cisco's "advance technology" divisions the San Jose networking giant is looking to for much of its growth. Linksys posted sales of $220 million in Cisco's second fiscal quarter, up 40 percent from a year earlier. I hope you enjoyed this week's newsletter. Reader's comments and opinions are always welcome and recommendations to friends and coworkers are appreciated. There is no charge for subscription and there are no membership restrictions. This newsletter is made possible by the generous support of the advertisers and voluntary donations from readers. Prompted by a new friend passing away, the thought for the week follows below. Money creates stress for many of us. Yet having money isn't a guarantee that you will have a stress-free life. Here are some of the men who were most admired for their accomplishments during the year of 1923. They were predicted to live the rest of their lives in luxury and happiness. While this was not the case, they did have a secret many of us would love to know how to make lots of money. Now, many years later, do you know what became of them? In 1923, do you know who was. . . The man who was president of the steel company, Charles Schwab, died a pauper. Arthur Cooger, the greatest wheat speculator, died penniless. The president of the New York Stock Exchange, Richard Whitney, was released from prison to die at home.